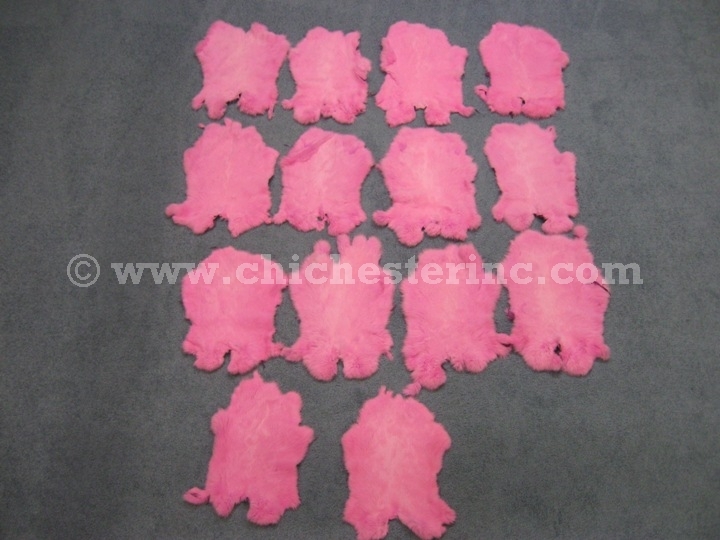 All of these pink skins have white down the center of the skin. Row 1: Dark pink going into a purple shade. The fourth skin has lots of white. Row 2: Medium pink. The third skin has big white patches. The fourth skin has four spots of yellow. Row 3: Dark pink going into a purple shade with white lines down the center. Row 4: Medium pink with white down the center. These are all about the same shade of pink with white down the center. 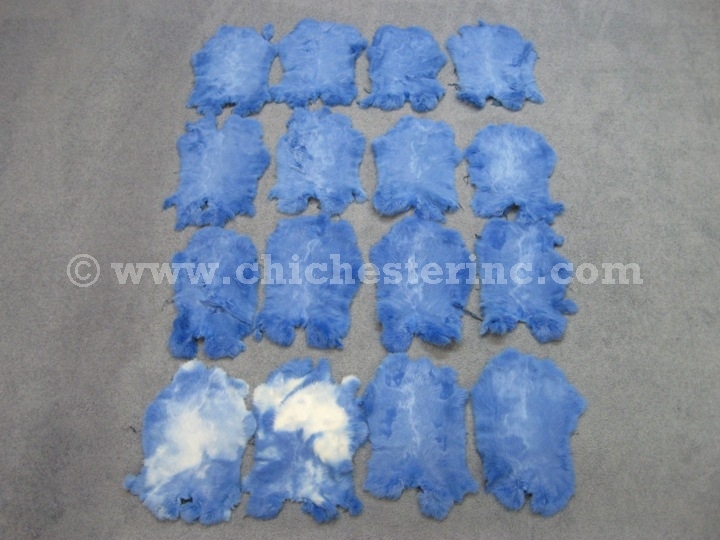 These are all medium blue with white down the center of the skin. The first two in the fourth row have really big white patches. 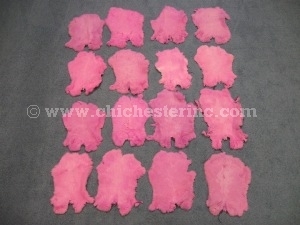 Video of the Dyed Pink and Dyed Blue Rabbit Skins above.